May 12, 2017 - Video shows how narwhals use their iconic tusks to hunt fish. 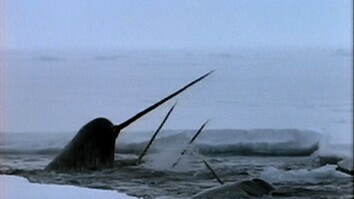 Filmed near Nunavut, Canada, a narwhal can be seen tapping a fish with its tusk. The tap stuns the fish and makes it easier for the narwhal to eat. The tusk is actually a tooth that spirals out from their head, and it can reach nine feet in length. 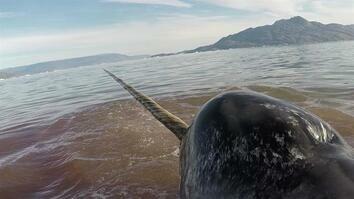 Narwhals live in remote locations and little is known about them. 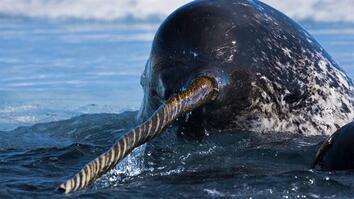 The tusks are covered in thousands of nerve endings, and they help the narwhals sense their environment.